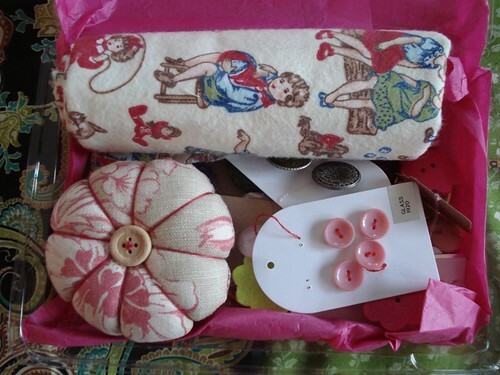 second, i am so excited to finally share with you what i received in the vintage button swap (hosted by sally). 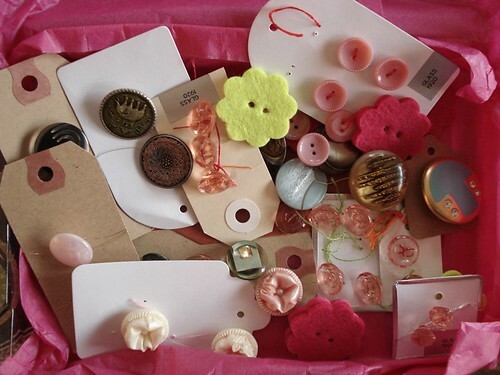 you all know me and my love of buttons...especially pink ones. my swap partner zenzhey was so great and, in her words, "pinked up" my package. it just made me so happy! thanks zen! i already have some ideas for a few of the buttons. 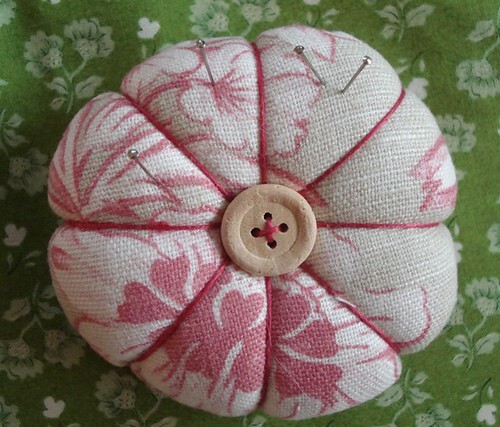 i love the pincushion and put it to use right away. i find i need one next to the sewing machine, on the ironing board (or bathroom counter as the case may be as i seem to iron there lately), and wherever i am cutting/pinning. third, i want to say thank you to all of your for your kind comments about my prayer flags. some of you emailed and commented asking when they will be for sale. i hope to have my etsy shop open this month. 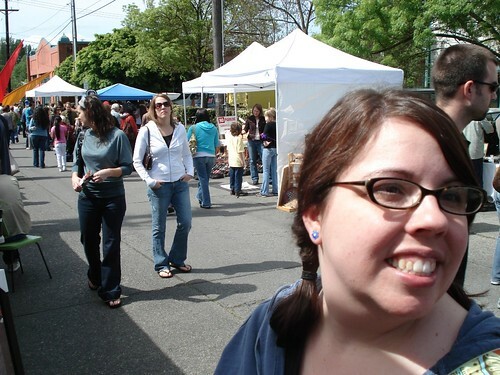 if you are interested in anything i post prior to then or would like to discuss a special order, please just send me an email at waywardtulip at gmail dot com. happy may to all of you!